Years in the making, John G. Waite&apos;s comprehensive historic restoration of The African Meeting House in Boston, MA, includes replacing historic windows, woodwork, lighting and exterior work. "Everything was in place to finish the restoration – the design, contractors and materials – but the project had run out of funding," says Carl Jay, director of historic preservation atShawmut Design and Construction in Boston, MA. 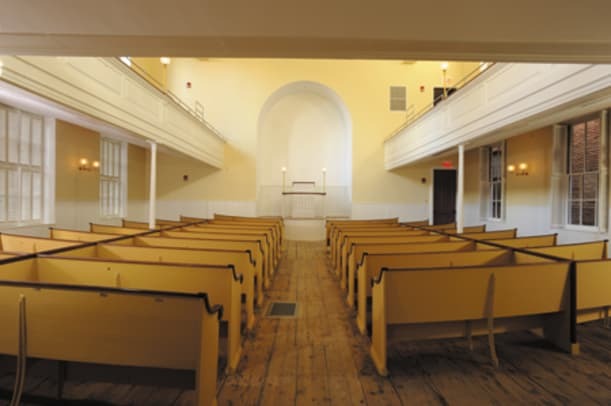 After a four-year hiatus, the firm&apos;s restoration of the historic African Meeting House in Boston&apos;s Beacon Hill neighborhood recommenced in 2010 when $4 million in federal stimulus money became available. Owned by the Museum of African American History, the building received funds through theAmerican Recovery and Reinvestment Act of 2009, which was instituted in part to create jobs during the severe economic downturn. John G. Waite Associates, Arch-itects, from Albany, NY, and Shawmut Design and Construction of Boston were given one year to complete the project that had begun in 2004. They rose to the challenge, completing the top-to-bottom restoration just a few days shy of the deadline. The three-story brick Federal church on a quiet dead-end street in Beacon Hill was built in 1806 to meet the religious and cultural needs of the growing African American community. It is believed that the building may have been influenced by Asher Benjamin&apos;s book, The American Builder&apos;s Companion, which was published the same year. Throughout its history, the building has served as a Baptist church, a school, a meeting place and a synagogue. It was acquired in 1972 by the Museum of African American History, and became a National Historic Landmark two years later. 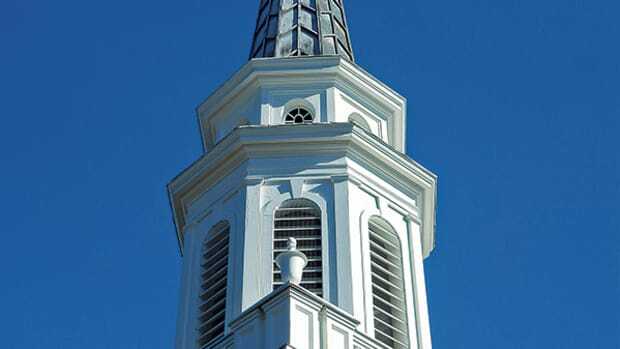 Also known as the First African Baptist Church, it is the oldest religious edifice in the country built for a black congregation. Since the museum took ownership, the property has undergone extensive archaeological investigations, various rehabilitation efforts and historical studies. 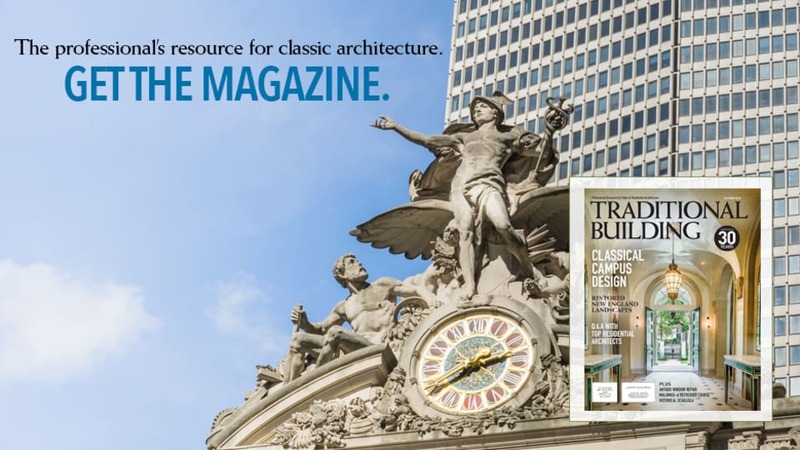 "In 2002, we were hired to write a historic structure report and create a restoration program for the building," explains architect Clay Palazzo, AIA, LEED AP, of John G. Waite Associates. Much like crime detectives, the architects relied on historical documentation, as well as physical evidence of the building, to come up with an appropriate program for the restoration. "Each project is different," says Palazzo. "It&apos;s a balance between today&apos;s building and life-safety codes and the historic character-defining features of the building – you don&apos;t want to compromise the cultural significance and character of a building for modern use." The firm restored the historic structure and provided contextual design for modern amenities, such as the new stair/elevator tower at the rear of the building. 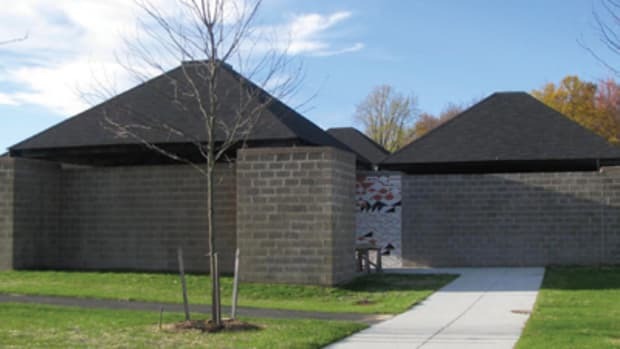 Aside from restoring the 200-year-old exterior and interior, the program included bringing the building up to code, creating handicap accessibility, and upgrading all the mechanical systems. "In 1855, the building went through a major renovation," says Palazzo. "The front windows were elongated with half-round heads, the rake of the gallery above the sanctuary was changed, an apse was introduced, the front door openings were moved, and the interior staircases were reconfigured," he explains. "It wasn&apos;t feasible to restore the building to its 1806 period because of these extensive renovations, so we chose to restore the building to its 1855 timeframe." This period also holds the most historical significance – it was the height of New England&apos;s abolitionist movement when many leaders spoke at the meeting house, including Fredrick Douglass who gave a speech on school integration there in 1853. "The museum director, Beverly Morgan-Welch, wanted the building to become a living building – a place where concerts, weddings and social events could be held," says Palazzo. "Beacon Hill was once the heart of Boston&apos;s 19th-century African American community. 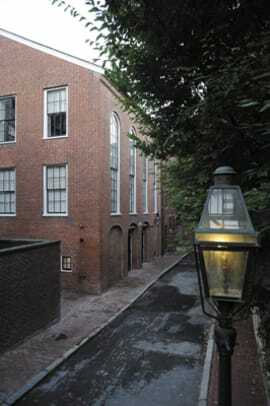 In its earliest days, the building was so active it was considered Boston&apos;s black Faneuil Hall." Once John G. Waite Associates prepared the historic structure report and created construction drawings for the project, work began with re-pointing masonry, replacing the copper gutters, and restoring all the 1806 and 1855 windows. A small courtyard in the back of the building provided space for a stair/elevator tower and an underground vault to house mechanical equipment. "Our most difficult challenge was working in such a small space," says Jay. "There was a 4 1/2-ft wide opening to bring equipment in and out of the backyard. A pile rig had to be disassembled and reassembled to get it into the space." The new brick stair and elevator tower is connected to the building by a glass-enclosed bridge. "We wanted to clearly delineate what was new and what wasn&apos;t," says Palazzo. Bricks for the stair tower were color matched and replicated by Stiles and Hart of Bridgewater, MA. "We re-created a lime-based mortar that reproduced the original building&apos;s mortar," he adds. The team also restored and re-shingled the 1855 apse addition. "The coursing matches the original, but the material is a Western Red Cedar – a material they didn&apos;t have back then in Boston," notes Jay. "The 1855 cast-iron columns still support the structure." 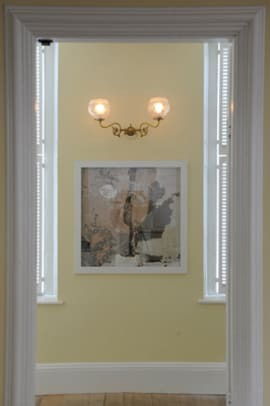 The windows are original and received Dutchmen repairs to the sash – and where needed, restoration glass. Inside the building, new tongue-and-groove wainscoting and board flooring were installed in the lower floor. This space was used as a schoolroom for the black community before the Abiel Smith School was built next door in the 1830s. "The flooring is reclaimed pine. We used square cut nails that were similar to the originals," says Jay. The design also accommodates two handicapped-accessible bathrooms in the ground floor. On the north side of the building, two curved stairways introduced in the 1855 renovation lead to the sanctuary and gallery. "A fire in 1973 destroyed the roof and apse," says Jay. "The pews were stored at the Charlestown Navy Yard where they suffered severe water damage." Because of the fire there was no real physical evidence revealing what the original pulpit might have looked like. "The new pulpit is an interpretive element," says Palazzo. The architects designed a platform and railing based on early written accounts, as well as examples from similar buildings of the 1850s. The team also replicated the curved wood pews, slightly modifying the seats to accommodate a modern audience. Cast-iron brackets salvaged from the original pews were reused on the replications. "We know how to place the pews because scribe marks on the floor revealed the layout," notes Palazzo. The pews were painted a mustard hue based on paint analysis. The color on the sanctuary walls is an interpretation as well. "There was evidence of wallpaper with a soft yellow background that dated to 1855," says Palazzo. "We chose to incorporate that color on the walls." The curved ceiling was reconstructed following the fire and has superior acoustics. The unfinished wood floor in the sanctuary dates from 1806 and may have come from the Old West Church, an earlier structure in the West End of Boston. Pews in the gallery were also replicated and installed. An innocuous 3/4-in. square metal rail, which was needed to meet code, was placed on top of the original gallery knee wall. As for lighting, the team unearthed a light stanchion dating to the mid-19th century in the backyard during an archaeological investigation. This led them to replicate a pair for the new pulpit and two for the gallery above the sanctuary. 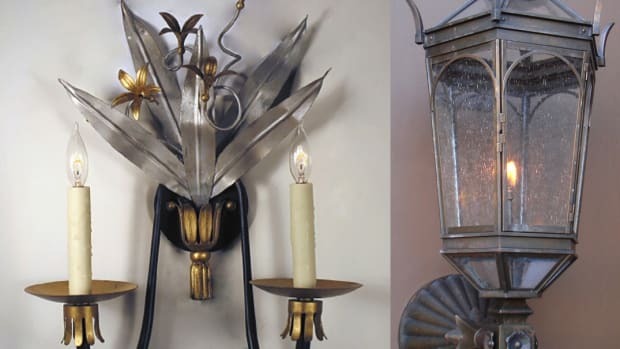 "Previously, the National Park Service had found evidence of a ceiling hook for a chandelier," says Palazzo, "so we had a reproduction chandelier made that represents the time period." 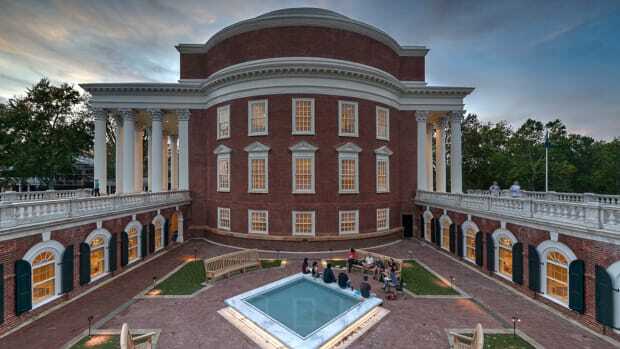 RMJM Hillier undertakes the repairs and restoration of The Baptist Temple on the Temple University Campus in Philadelphia, PA. Now known as the Temple Performing Arts Center, the building has renewed purpose and life.